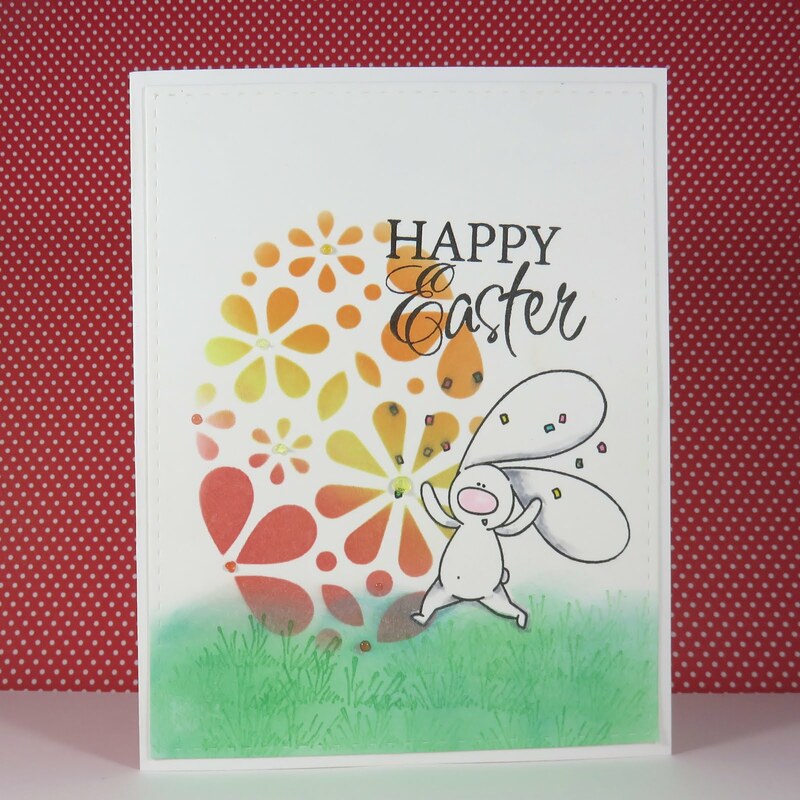 Blog Quick Quotes: Inky Easter Inspiration with June! 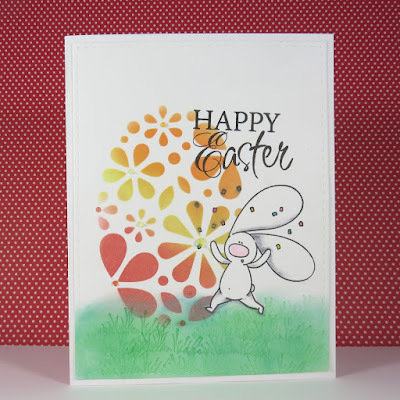 Inky Easter Inspiration with June! Hello Quick Quotes fans! June here today with a playful Easter card using fun spring colors of PowderPuff Chalking Inks. This card reminds me of my adult son, Tyler. It is playful, fun and bursting with excitement! One of my favorite techniques is blending with PowderPuff Chalking Inks. These inks blend so smoothly and easily. Plus they come in dozens of beautiful colors! 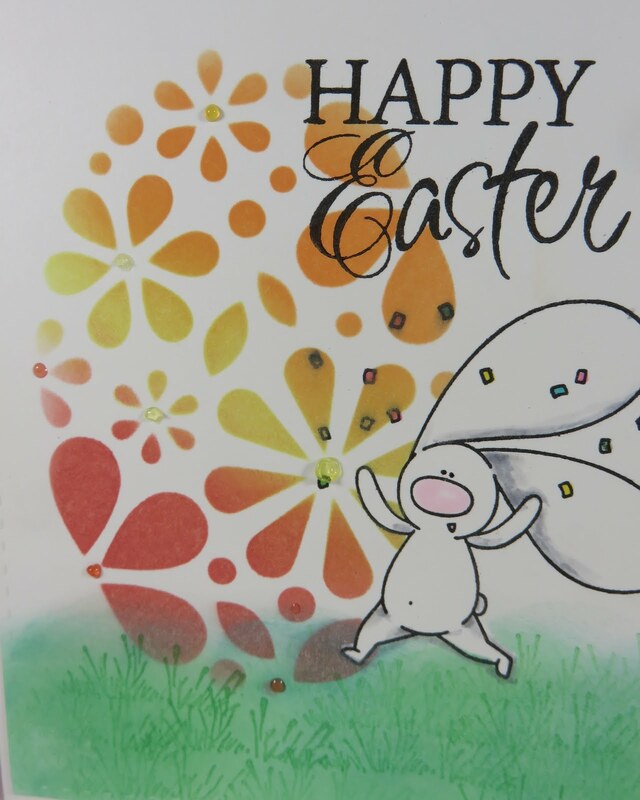 For this card, I started by stamping the bunny and masking him off. Then I blended Tropical Punch, Island Orange and Lemon Sorbet PowderPuff Chalking Inks over an egg stencil. For the grass, Key Largo and Green Leaf PowderPuff Chalking Inks were blended across the bottom. 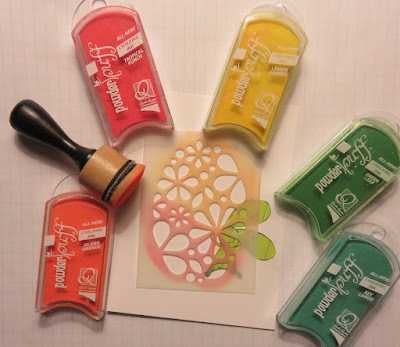 I also stamped the grass using Green Leaf PowderPuff Chalking Ink. Next the bunny mask was removed and the image was colored with markers. Then the sentiment was stamped. To finish things off, the panel was added to a card base and embellished with dimensional drops. Happy Spring and thanks for stopping by!